This fall Shipley & Halmos will debut a men&apos;s footwear collection. Sticking to their classic and modern design approach, the collection is inspired by vintage, military and Mod-era styles. Whether your dressed up or down the Raymond and Jack boots as well as the Lucien oxford will effortlessly fit into your warobe. More styles will be added to the collection, until then check out what else Shipley & Halmos has to offer and keep your eyes peel for these to drop later this summer. ShipleyHalmos Launch Fall 2011 Men&apos;s Footwear CollectionThis fall Shipley and Halmos designer, Sam Shipley and Jeff Halmos will launch their debut footwear collection. Sticking to their classic inspired and modern design approach, the duo will introduce three new style that are versatile and will effortlessly fit into your warrobe seasons to come. The first style being the sartorial staple shoe the Lucien oxford which comes in various color-ways--as shown above-- is made of a clean leather upper, contrast stacked leather heel with a curbing inside the of the sole. The second style is the Raymond, a military inspired boot with nickel lace hooks and heavy-gauge stitching for added reinforcement. The Third style, the Jack boots is the company&apos;s spin on the 1960&apos;s Mod boot, made from textured kid skin, this dense leather will no only last for years, but will look better with age. 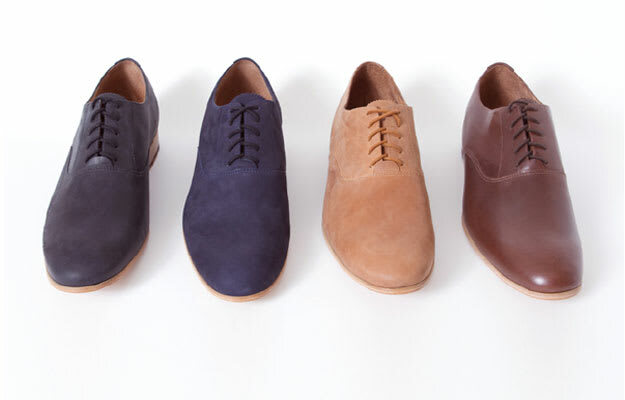 All styles in the collection the Shipley & Halmos signature circle, square, and triangle label is debossed in the sole of each shoe. More style will be added to the collection, until then check out what else Shipley and Halmos has to offer.